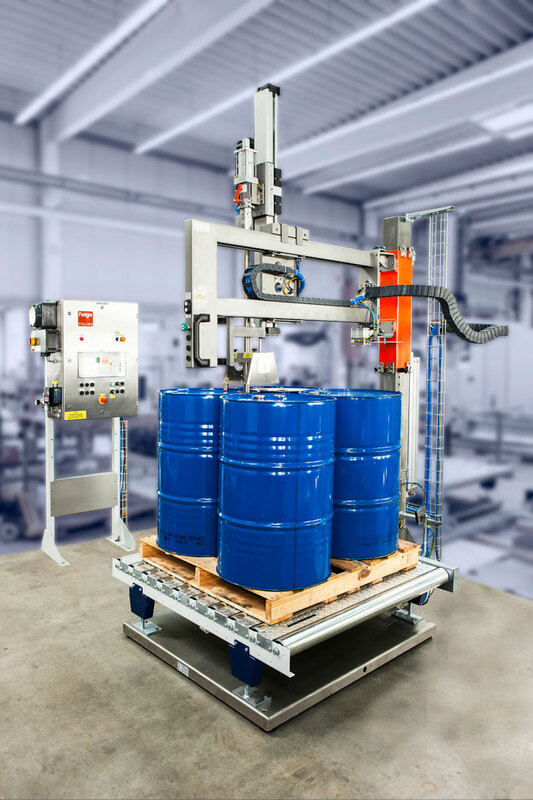 The TYPE 16 semi-automatic Pallet and Tote Filler is the most versatile of our products. It is a compact and cost-effective pallet and tote-filling machine with the widest range of applications. This filling machine is part of our Compact Line and works with a pivoting arm.